There are many terms in this article that use Korean vocabulary in unique ways. To aid in understanding, here are some explanations of the terms that you will read in this article. 1. Sampo Generation (3포세대): This refers to the generation that gives up three major life events, such as dating, marriage, and raising children. 2. Opo Generation (5포세대): Same as above, but giving up 5 things, such as social life, and owning a house. 3. Chilpo Generation (7포세대): Same as "Sampo" but giving up 7 things such as dreams and hopes. Since when have those young Koreans, often referred to 'Opo Generation' or 'Chilpo Generation', given up things? When I met 20-year-old college student 'B' at a BBQ restaurant in the city of Uijeongbu and asked him about Opo Generation, he answered, "Well, it's about giving up everything, right? That's my generation." Those young people giving up three major life events, such as dating, marriage, and raising children are called 'Sampo Generation'. Those who give up five major life events including social life as well as owning a house are called, 'Opo Generation', and those who give up seven major life events including dreams and hopes are called, 'Chilpo Generation.' The 20-year old sophomore said he's given up his dreams and hopes since high school. "I've given up dreams and hopes since high school." 20-year-old college student 'B' : When I was a child, I loved to read books. When I was in elementary, I wanted to become a Baduk player (or go player) as I moved up to the second level in Baduk. But it was all useless in a job market. So I gave up everything. I even got accepted into a business school in prestigious university D, but I eventually got into logistics department. Because my mom told me it had high level of employment. There are many schoolfellows who get into school and don't go to class. Some of them prepare for national entrance exam again to attend college of education, since teaching is a safe career choice. And some of them prepare to go for prestigious universities hoping to get a better chance at landing a decent job. My older brother went to 10 private educational institutes when he was younger, and I went to 7 educational institutes. I mean, what's the use of studying hard? It's a common thing for the '2030 generation' to give up their degrees and dreams to get hired. It's because job seeking has increasingly become harder for youths. According to Statistics Korea, the youth unemployment rate in February 2016 soared to 12.5 percent, the highest recorded since the statistics standard change in June 1999. The number of employed youths increased by 17,000 while the number of unemployed youths was up by 76,000 compared to February 2015. Although the youth unemployment has been continuously worsening, surpassing 12% seems extraordinary. This is higher than the youth unemployment rate in Japan that has been suffering a long recession. but getting married is scary"
20-year-old college student 'B' : Before having this interview about Opo Generation, I asked my friends and seniors about it. They told me they don't have enough time to think about Opo Generation. They say the future is uncertain, and there is no time to think about anything else than earning credentials so-called 'spec' in Korean. They say dating is ok, but getting married is scary. They are afraid of getting married because it takes a lot of money. They jokingly say let's get out of Korea. Our college seniors have no time to think about it as well. They are always busy writing resumes. They are delaying graduation because it is becoming harder to find jobs. Everybody is tired of the competitive nature of Korean society. In South Korea, all physically able young men are subject to compulsory military service for about two years. Nevertheless, if you type in 'army' as a keyword on a search engine, 'how to join the army fast' will be shown as one of the related searches. You might wonder why people want to join the army fast, but joining the army has become a competition these days as the number of applicants has surged. If you click one of the posts entitled, "How to join the army fast", they will advise you to do such and such because it's too hard to enlist due to a lot of applicants. Those youths who are suffering high rates of unemployment are applying to join the army as an alternative. In fact, the competition rate to join the army went up to 7:5:1 in 2015 from 6:1 of 2014. "I failed army entrance test 4 times." 20-year-old college student 'B' : At first, I applied for ordinary soldier position for the Air Force twice but I failed. This year, the Air Force changed its screening system to picking out new recruits through certificates, majors, and other things rather than middle & high school grades. I applied with only high school grades, so I was completely left behind. I also applied to two positions for the Army, and I flunked again. By then, the competition rate for the position was 7:1. These days, many young people tend to believe it is better get the military duty out of the way as early as they can. It's a form of escapism. My older relatives get shocked looking at my generation trying to enlist as early as possible. I applied to enlist in the army again last month. I have to get the opportunity this time. "Life is tougher after the army." 20-year-old college student 'B' : I think it's going to be tougher after the army. Most of all, I'm afraid of building specs. My seniors tell me that even people who apply for internships have excellent specs. The standard of specs is getting higher these days. I hate to image how high it will become when we become job seekers." Once I leave the army, I should acquire high English test scores and various licenses. For now, I want to pay attention to my grades first. 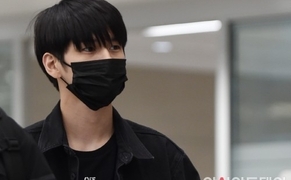 "It was all different in Australia"
20-year-old college student 'B' : I went to Australia when I was in middle school, and came back to Korea in high school. I enjoyed living in Australia. The school let us revise what we had learned in class. They ensured no one fell behind. Nobody was studying like students in Korea. There was no 'Yaja' (self-studying after school until late at night). Students went back home at 4 o'clock. You don't have to get obsessed with getting into good universities. You can learn skills and start to earn money fast. As early as your sophomore year in high school, you can go into the world. The best part in Australia was that kids looked peaceful and relaxed as they were not obsessed with education. When I was in Australia, I used to play basketball with friends and enjoy sports instead of playing computer games like in Korea. "Yet, is there any hope for Opo Generation?" 20-year-old college student 'B' : But still, I want to get a job. I feel like my life would be better if I earn 3.5 million won (roughly USD $30,000) a year. Though it's awfully hard to achieve that goal. I would live with families ordinarily if I earned that much money. Of course, I would like to buy a house if I earn more. After buying a house, I would like to travel the world with my mother and figure out what I really want to do. It's my dream. Finding out what you really want has become a dream for Opo Generation. Yet, they dream of a better future. What could be the right path for them to have a better future?